For a year I collected all of the hair I lost when I washed it. After each wash I gently rolled the hair to generate a single bead. 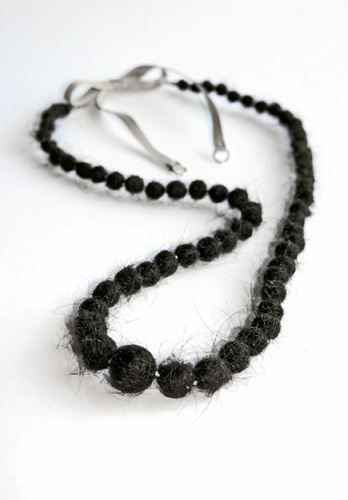 In 2007 I strung a few as a graduated necklace and sent it to a show in Oslo.